Check back soon for more product spotlights! 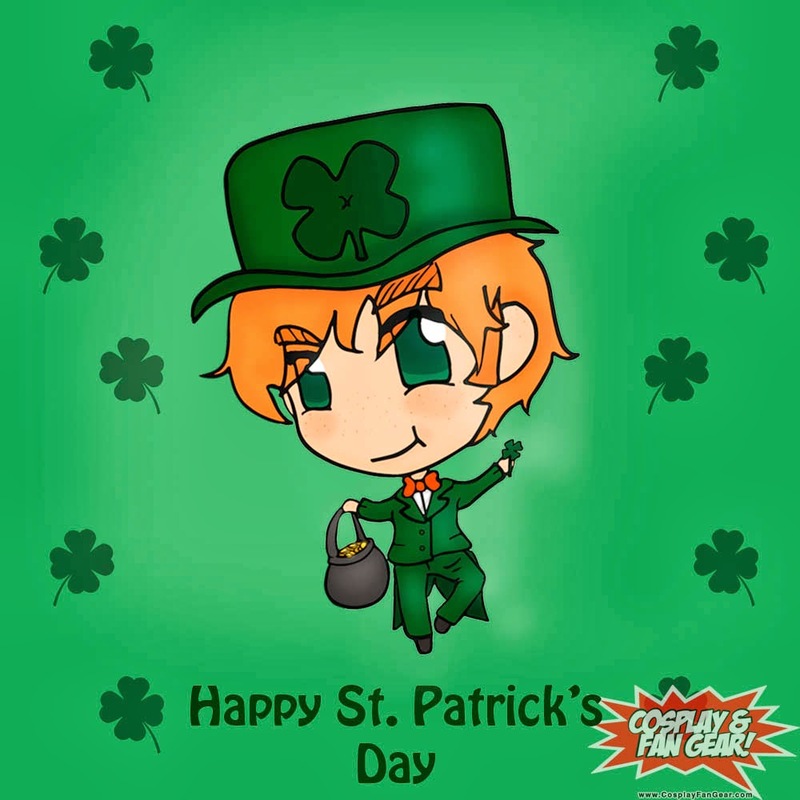 We here at Cosplay & Fan Gear, LLC would like to wish you a Happy and Lucky St. Patrick's Day! Don't forget to check us out on Etsy! Here is a highlight of our new beautiful handmade earrings. Each earring is designed with love and care and is crafted by our team. 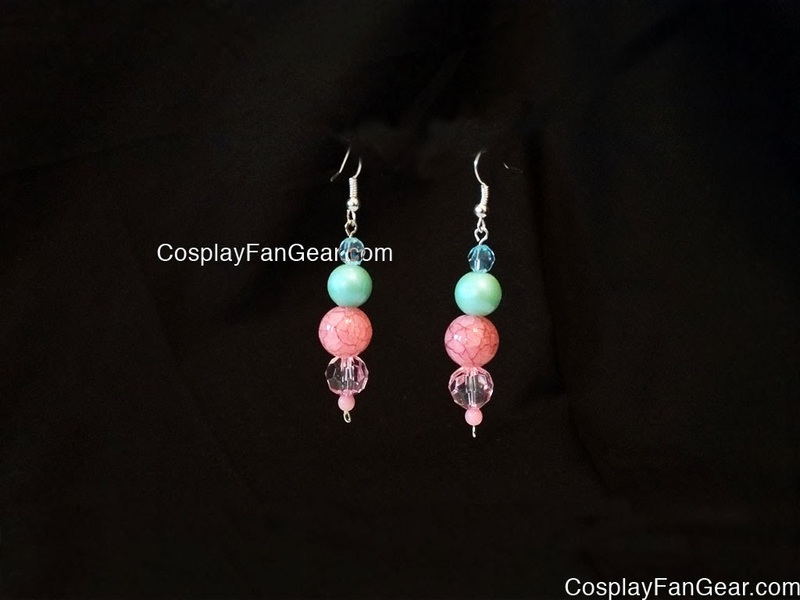 First, the Tropical Breeze Earrings feature a round shiny teal bead and a crackled pink bead. 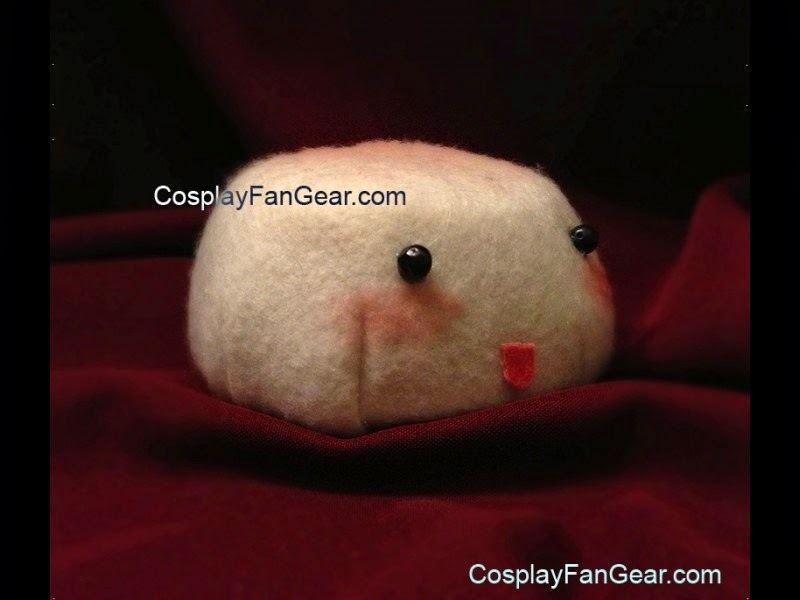 It also has a miniature teal bead placed atop, a beautiful pink bead, and a round pink bead at the bottom. The colors create a unique tropical inspired color scheme that contrasts perfectly (and is totally 80s)! 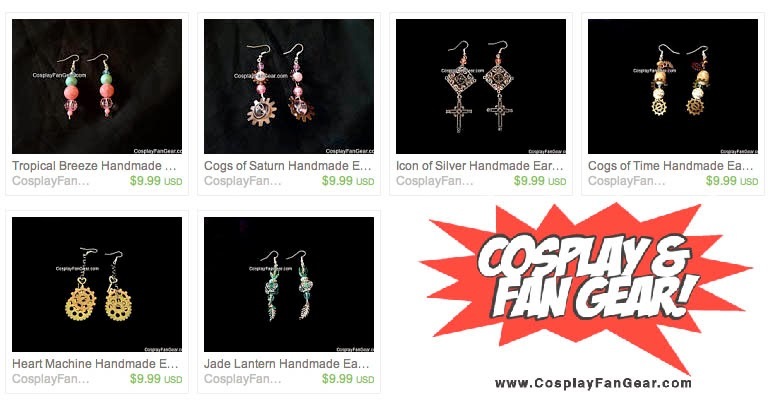 The Cogs of Saturn Earrings were inspired by astronomy and steampunk. 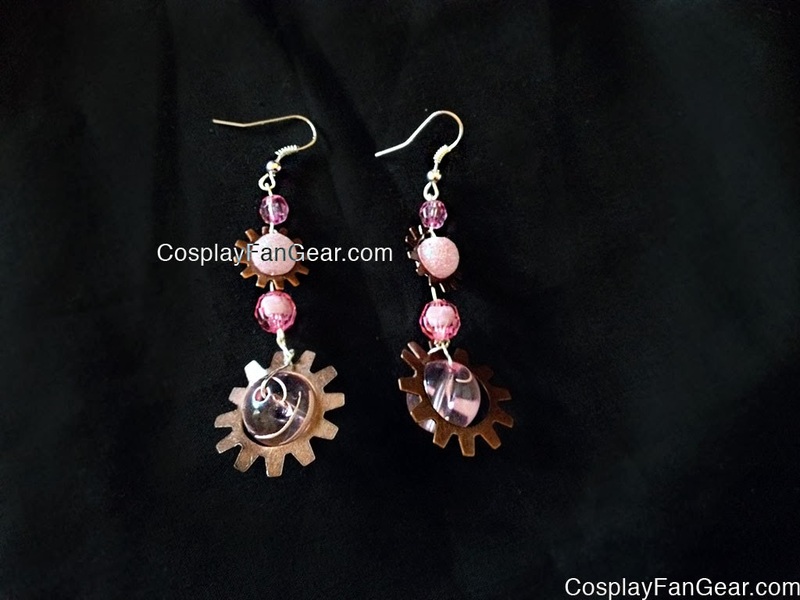 These earrings have metallic cogs that surround translucent orbs giving it the air of the planet Saturn which are below a sparkly pink mini planet. The dangling earring is then completed with pink rose colored beads at the top. While the Icon of Silver Earrings are inspired by Gothic design and fashions. This pair of earrings features a detailed metallic cross, a detailed diamond shaped metal, and a beautiful lavender bead. 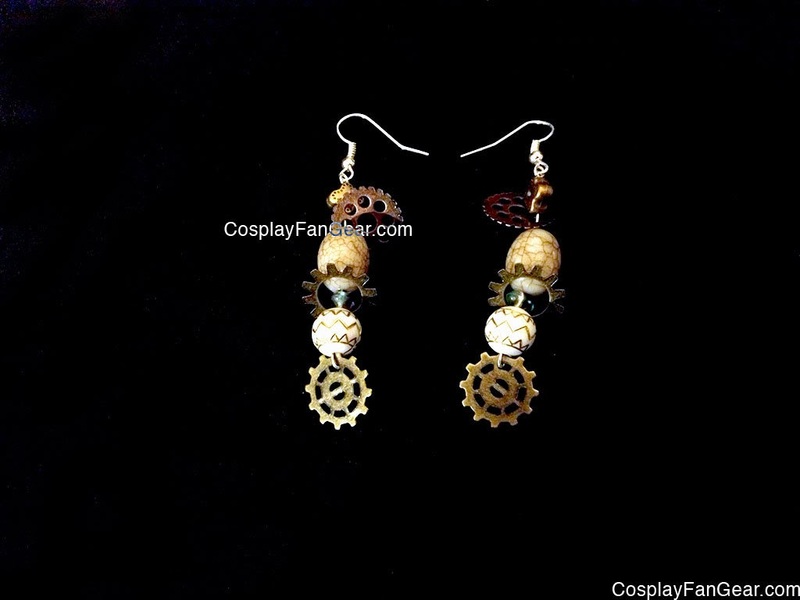 Next, the Cogs of Time Earrings were inspired by steampunk and gear based machinery. The coppery colored gears complement the cream and beige rustic stones. In the middle is a single green bead giving this pair of earrings a mysterious hint of color. To complete these earrings there is a metallic flower shaped bead gently sitting on top. 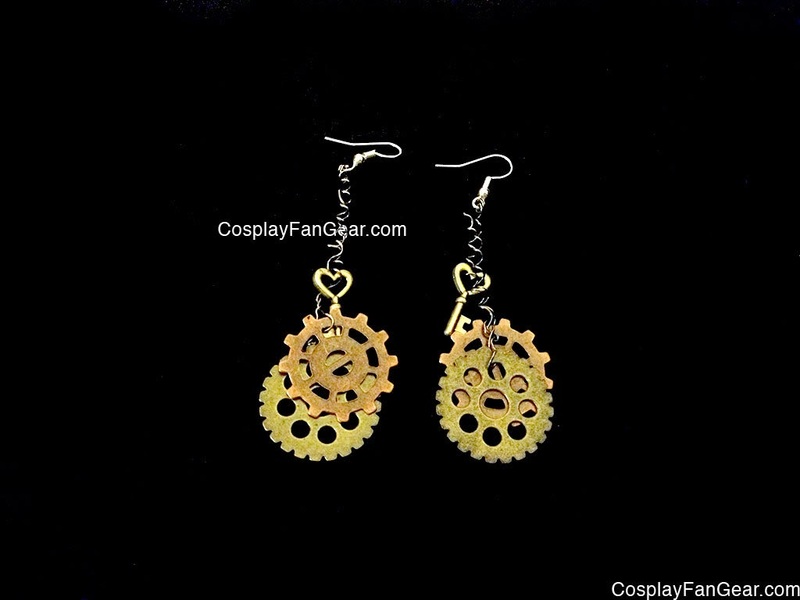 The Heart Machine Earrings were also inspired by steampunk and gear based machinery. The coppery colored gears complement the gold key. The dangling earring is both mysterious and can carry multiple meanings. Finally, the Jade Lantern Handmade Earrings were inspired by asian culture. The green resin jewels illuminate the "jade" lantern below them. 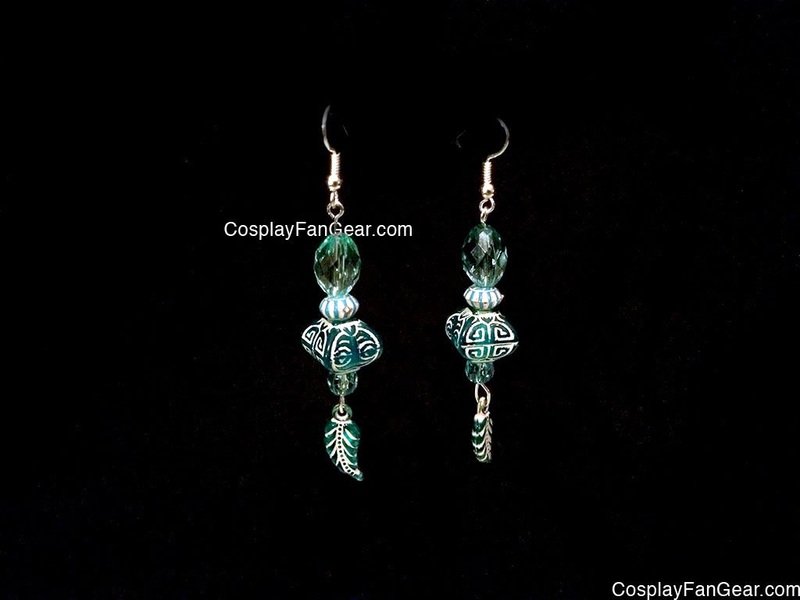 This dangling earring is then completed with a green colored resin feather. Check out these unique hand crafted earrings on Etsy!